Fish is good for you. It’s healthy and tasty, and easy to raise at home. Here are some home based fish farming tips for absolute beginners. Fish is one of the best foods there is. It’s tasty, full of nutrition, and can be raised at home in many different ways, for various different reasons. For example, if you are living in the city, you can still raise fish at home for food or business using containers or tubs. 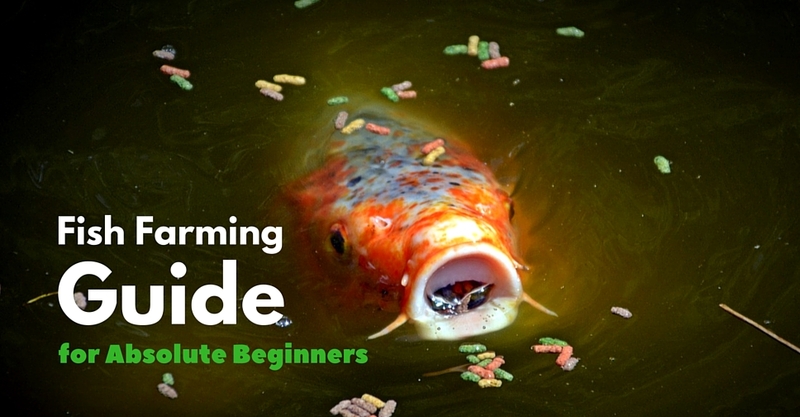 If you want to raise fish at home and don’t have a lot of space, and you are an absolute beginner, this article might be able to help you get started. There are many different ways to raise fish indoors or outdoors at home. Below, we will discuss some of the simple ways you can raise fish at home with minimum space and resources. Before starting your farm, check with your local authorities to make sure you have all necessary permits and clearance for digging a backyard pond, and construction around your house. Contact your local utility companies as well to make sure you are not interfering with any utility lines. You can use any extra space and raise fish anywhere at home or around the house. When selecting a site and planning your home based fish farm, select a spot that’s easily accessible. Also, consider the type of fish suitable for your climate and space. Below are some of the possible places where fish can be raised. If you have enough space in your backyard you can dig your own pond and raise a wide variety of fish for food. Make sure your backyard pond is ecologically balanced, so that plants and fish can co-exist. 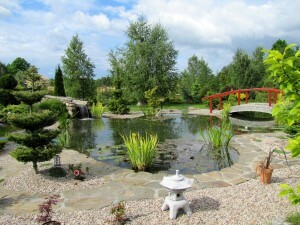 Having a pond makes your backyard attractive to the natural species in your area. If you have an old swimming pool that you no longer use, you could turn it into a fish pond. Your pool must be clean and oxygenated. Also, include aquatic plants in your pool. Aquariums are very useful for indoor fish farming! You can place them anywhere; in your living room, basement, balcony, or anywhere you have some extra space. 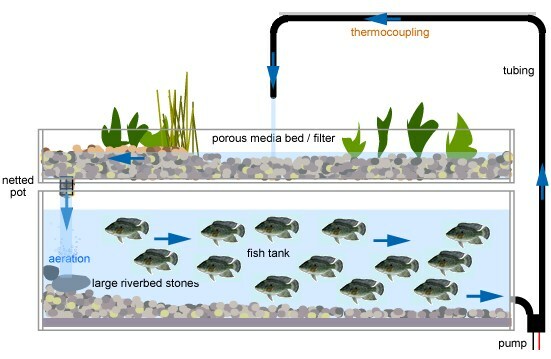 A home based fish farm doesn’t have to be very big. Large tubs and containers are also useful for indoor or outdoor fish farming around the house. There are several ways to raise fish in an aquaponic system. Aquaponics is the combination of aquaculture and hydroponics. 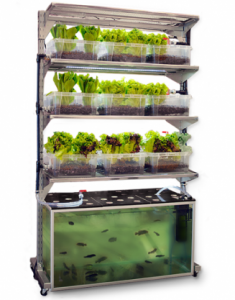 It allows you to grow plants and raise fish at the same time. Aquaponic is one of the most efficient polyculture farming techniques where you are able to grow more crops in less time, using very little resources and input. After your initial input, the system circulates nutrients and creates a balance between plants and fish. Aquaponic Tower Gardens are a smart and convenient way to practice agriculture that is more productive than organic farming. It needs very little water and resources, it also requires less labor and is convenient for setting up in apartments and homes. These are some of the various ways to raise fish at home. We hope your home based fish farm will bring you success! We have a very cool gift we would like you to have – a Guide that teaches you how to feed your fish for FREE! Yes, no food to buy. Please click here to download your free copy. Finally, if you really have it in your “gut” to become a fish farmer (even in your backyard) go sign up on our Aquaculture Central Site at aquaculturecentral.smartmember.com (No Cost! Nada! Nothing!) – For hundreds of hours of training and information. If you are really serious fill out the download survey sheet there on the Aquaculture Central site and tell us about how we can help you reach your dreams!! You can do it! You can! P.S: – If you’d like to learn more, please give us a call at: (303) 495-3705, or email us at: mailto:ioe@ecolomics.org or Click Here to book a meeting with us. Become a member of the Ecolonomic Action Team (EAT) and join our free live webinars. There are also tons of other free stuff and resources shared, so check it out. Can you please suggest me how to do. Are u sagar sawant from ocwen. Hi, my husband and i have started a small-scale fish farm in Nigeria specialising in catfish only. We’re taking the jump to do this as we are good with sales, but don’t have an Iota about the fish! Iam interested in backyard fish farming,as a beginner i want you to teach me how to start it . I want to do it in plastic container.